I don’t know about you, but after commuting home from work, the last thing I want to do is make dinner. My solution? Grocery shop and meal prep for the week on Sunday! I follow a pretty healthy diet with the occasional treat, so meal prepping really helps me make the best choices to fuel my body. It’s so much easier to reheat a few ingredients and toss together a satisfying meal than to cook a full meal each night! Even though I only cook for one person, I still make the entire recipe. I aim to get at least four servings out of a meal, so it usually works out perfectly. Swap out the usual ground beef for turkey, and save a few calories but lose none of the taste. I love iceberg lettuce as much as the next person, but I like to use leafy greens to up the nutritional factor. Instead of using sour cream, I use Greek yogurt. Have you tried that before? I highly recommend it! Greek yogurt has the perfect tang, and the creamy texture is delicious. Plus, it adds a little extra protein! Brown ground turkey over medium-high heat, adding taco seasoning and water when the turkey is no longer pink. Stir well, and let simmer. Fill up bowl with leafy greens, topping with ground turkey, black beans (heat them, if you want), tomatoes, salsa and a dollop of Greek yogurt. Remove the tortilla from the oven, break into pieces and place around the edge of your bowl to add a little crunch to the taco salad. 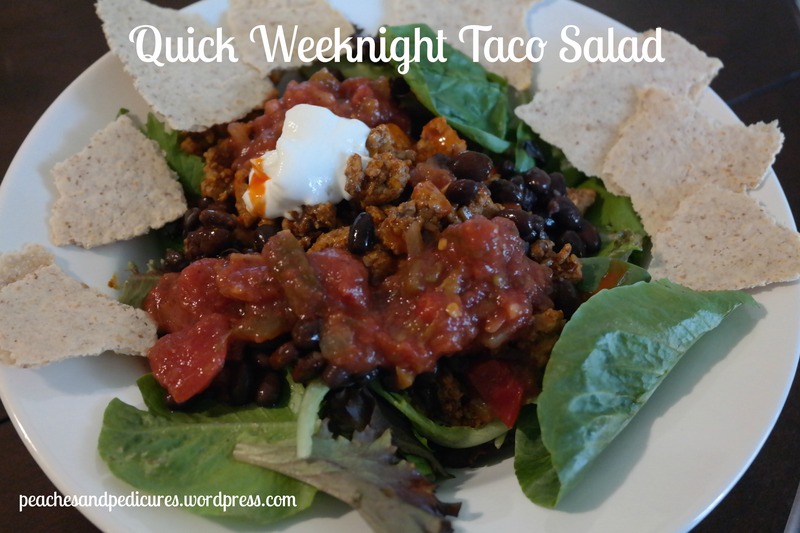 The best part about having a taco salad for dinner is the versatility! I can change a topping or two or make tacos or roll like a burrito and bake in the oven, topping with salsa and Greek yogurt. Yum! I can never get sick of a homemade healthy taco salad! 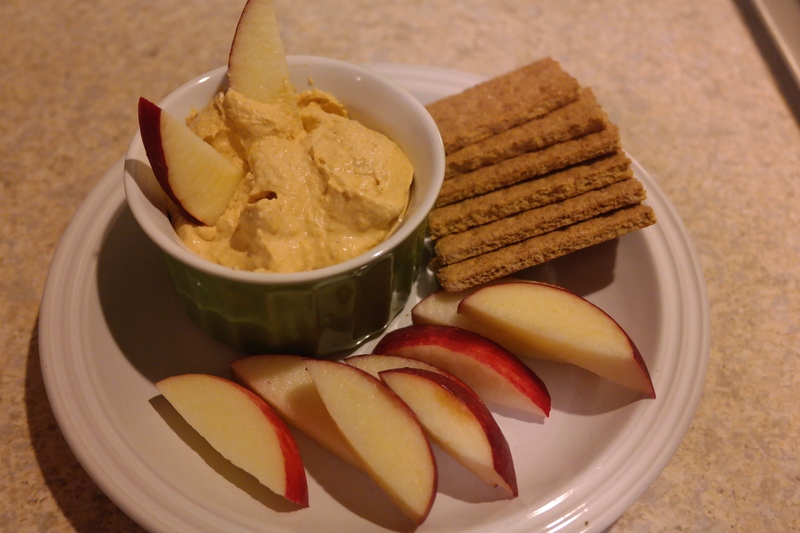 What is your favorite meal to eat on a weeknight?